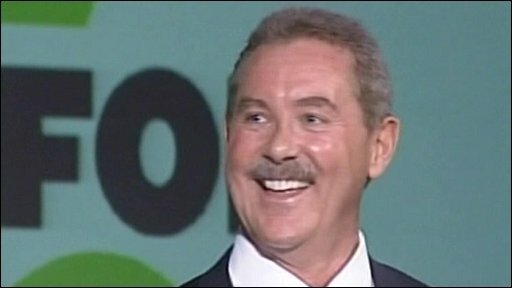 Sir Allen Stanford, accused of an $8bn fraud by US regulators, has insisted no money was lost by customers dealing with his financial services companies. In an emotional interview with ABC, the Texan financier wept as he spoke about how much he loved his employees. He later threatened to punch anyone who repeated allegations that Sir Allen was involved in the laundering of Mexican drug money. He has already denied any wrongdoing in the case. But the US financial regulator, the Securities and Exchange Commission (SEC), has said Sir Allen is guilty of fraud of "shocking magnitude", and criminal charges are expected to follow. By court order, the Texan billionaire is denied access to his own money, and he said the seizure of his assets had left him with little money and few changes of clothing. Even though in the past he has reportedly owned both a castle and an island he insists his lifestyle was always frugal. If it was a Ponzi scheme, why are they finding billions and billions of dollars all over the place? Throughout the interview Sir Allen ran rapidly across a wide spectrum of emotion from the mawkish to combative, says the BBC's Kevin Connolly in Washington. He insisted any attempt to compare his investment companies with those of the disgraced Wall Street financier Bernard Madoff was unfair. He added that customers who have tried to recover their money from his banks have been able to do so. In one of his more dramatic moments, he said he would "die and go to hell" if his investment plans were proved to be financial pyramid schemes, or Ponzis. "If it was a Ponzi scheme, why are they finding billions and billions of dollars all over the place?" he asked. Sir Allen came to prominence last year when he sponsored a high-profile Twenty20 cricket tournament, which culminated in a match between England and an all-stars West Indies team that gave each winning player $1m. His property in the Caribbean state of Antigua and Barbuda, where many of his business interests are based, has already been seized by the islands' government.